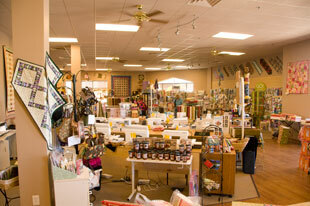 Sierra Sewing, Quilting, & Vacuums is a local family owned business that has been in business for over 48 years. We have Northern Nevada’s largest selection of in stock Pfaff, Husqvarna Viking, and Baby Lock sewing machines and sergers ready for you to see. In addition to sewing machines we carry a wide range of fabric, notions, and accessories for your sewing and embroidery needs. To compliment our sewing machines, we also carry Miele and Sanitaire brand vacuums. Miele branded vacuums are world leading home care vacuums with exceptional cleaning capabilities. Most models have achieved the Good Housekeeping seal of approval. Sanitaire vacuums are a commercial grade vacuum that are certified CRI grade. Sanitaire vacuums will keep your areas sparkling clean for years to come. Project oriented classes are available for beginning to advanced sewers. We have two locations. Our Reno store is near the intersection of Highway 395 and South Virginia Street at 8056 South Virginia Street in the Quail Park South shopping center. Our Carson City store is in the Carson Valley Center, Suite 222, on Topsy Lane at the top of the hill in South Carson City. Our Reno store hours are 10 a.m. – 5:30 p.m. Mon – Sat, and our Carson City store hours are 10 a.m. – 5:00 p.m. Mon – Sat.